Diane Babineaux, a longtime Machinists Union advocate for civil, human and women’s rights, will retire as a General Vice President of the IAM. Her retirement is effective June 30, 2017. Babineaux, a General Vice President since July 2013, has served in a variety of positions within the IAM since coming on board at IAM Headquarters. She was the first African-American woman to serve as a General Vice President of the IAM. Babineaux was instrumental in launching and managing the IAM’s Human Rights and Women’s Departments, IAM Veteran’s Department, as well as the Young Machinists program. Her work resulted in the first-ever IAM Human Rights Conference and the first Young Machinists Symposium. She is a trustee for the Coalition of Black Trade Unionists, a board member of the Coalition of Labor Union Women and A. Philip Randolph Institute, and a member of the IAM’s board for Guide Dogs of America (GDA). She counts GDA’s Las Vegas “Hawgs for Dogs” motorcycle ride as her favorite charitable event. Diane is also Co-Chair of National Coalition on Black Civil Participation, a member of the Black Women’s Roundtable, AFL-CIO Race Commission advisor, AFL-CIO Women’s Committee and board member of Asian Pacific American Leadership Advancement. 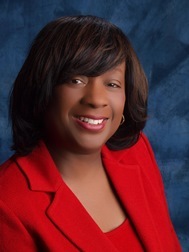 See Babineaux’s bio for a full list of her memberships and recognitions. Babineaux began her career in the MNPL/Political Department and moved to the Research Department. She became Special Assistant to the International President, then was later appointed Executive Assistant. Before becoming a General Vice President, she served as Chief of Staff to the International President since 2000.